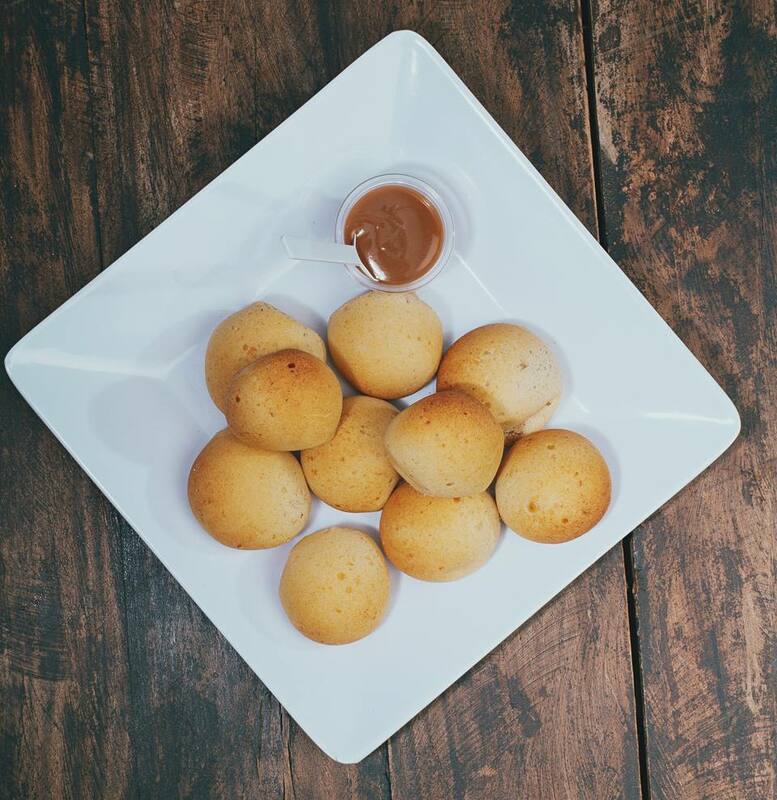 Pandebono, or pan de bono, is a delicious cheese bread, perfect for breakfast or an afternoon snack with coffee. It's a simple recipe made with cheese and two kinds of flour -- tapioca flour (cassava or yuca starch) and cornmeal. The precooked cornmeal called masarepa used to make arepas works well, as does regular cornmeal. You can even order a special mix for making these rolls called harina de pandebono. Stir in the grated cheese and the eggs. Mix well with a wooden spoon. Taste for salt, and add salt as needed. Knead dough until smooth. If the dough seems too dry, add a few teaspoons of milk or buttermilk. The dough should be soft and pliable. Let dough rest for about 10 minutes, covered with plastic wrap. Pull off sections of dough and roll into balls that are slightly larger than golf balls. To shape the dough into rings (rosquillas), first roll a piece of dough into a cylinder, then join the ends together to form a circle. The rolls do not have to be perfectly smooth - they will puff up during the last several minutes of baking. Place rolls on prepared cookie sheet and bake for about 20 minutes or until golden in color and puffed. Serve warm.